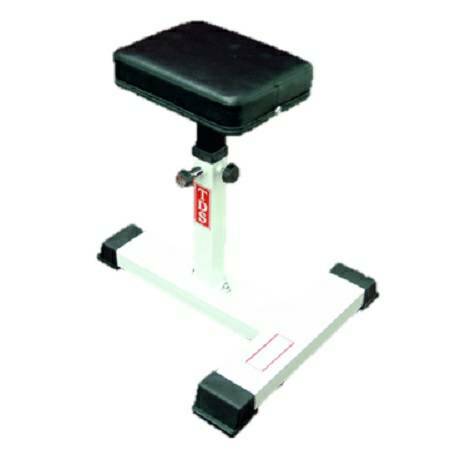 This Adusting from 17.5 to 23 inch Utility Stool is a rock-solid tool for performing seated exercises such as shoulder presses, triceps pullovers, French curls, concentration curls, wrist curls and more. 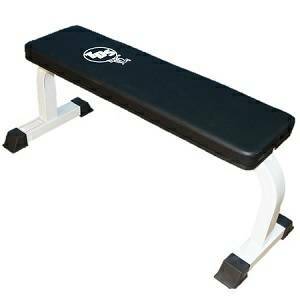 It works great in a rack for barbell exercises or on its own with dumbbells. Designed to align your body to perfect seated posture and reduce stress on your back without restricting movement. Both seat pads are mounted to the heavy-duty 2" x 4" mainframe, which is constructed from 12-gauge high-tensile strength steel for maximum strength and features an extra-wide base that ensures lateral stability. When it comes to padding, you can't beat the extra thick, double stitched DuraFirmTM upholstery. It's tear resistant and provides comfort and support without ever bottoming out. Whether it is in a home or commercial setting it is the best seat in the house!